Huddersfield is home to some great cafés, delis and coffee bars, but we think there’s something pretty special about ours. Café Ollo is a bright space with a fresh, healthy menu to tempt all taste buds, plus delicious, locally-roasted Dark Woods coffee, expertly ground by our friendly baristas. We’ve even got a well-stocked fridge of beers and wines! Very much the heart of The Media Centre, this is a place to meet friends, take some time out, hold a meeting or work on something brilliant. In fact, with free Wi-Fi, it’s the perfect spot if you want a change of scenery or a buzzing atmosphere for inspiration. It also hosts some of our many events including the acclaimed SOUP crowdfunding evening, PechaKucha Night, portfolio reviews for young designers, and so much more. Can you tell there’s always plenty going on? Because we’re a not for profit organisation dedicated to nurturing the vibrancy of the town, Café Ollo is not a venue reserved just for our businesses. The entire community of Huddersfield can – and does – enjoy our space, and our unrivalled macchiatos! 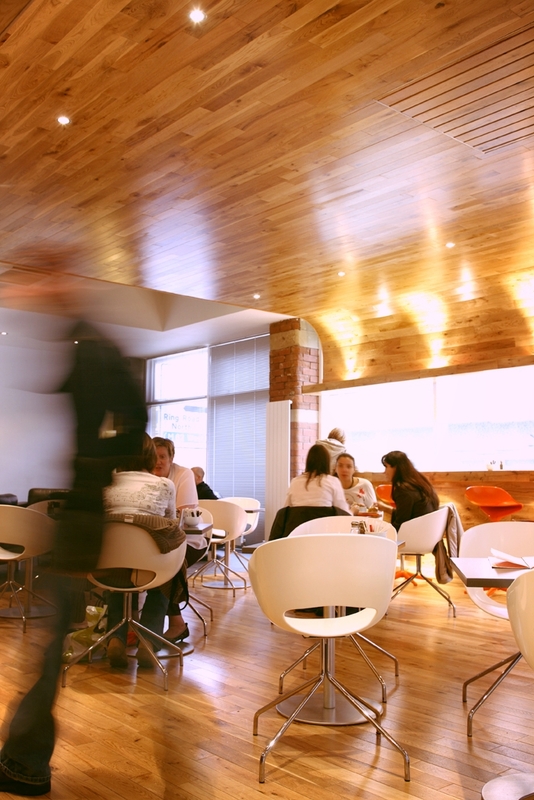 So, whether you’d like to sit back on a squidgy leather sofa and catch up on the day’s news, have an impromptu meeting over a panini and wine, or simply pop in for a much-needed slice of cake, drop by any weekday between 08:30-16:30. The space is also available for hire as an out-of-hours venue – get in touch to discuss any ideas that you have.